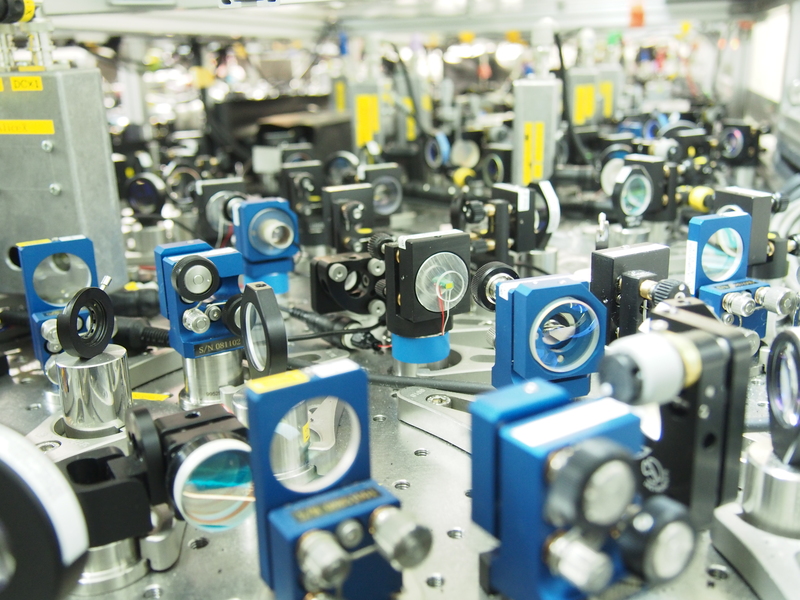 By means of the quantum-mechanical entanglement of spatially separated light fields, researchers in Tokyo and Mainz have managed to teleport photonic qubits with extreme reliability. This means that a decisive breakthrough has been achieved some 15 years after the first experiments in the field of optical teleportation. The success of the experiment conducted in Tokyo is attributable to the use of a hybrid technique in which two conceptually different and previously incompatible approaches were combined. "Discrete digital optical quantum information can now be transmitted continuously – at the touch of a button, if you will," explained Professor Peter van Loock of Johannes Gutenberg University Mainz (JGU). As a theoretical physicist, van Loock advised the experimental physicists in the research team headed by Professor Akira Furusawa of the University of Tokyo on how they could most efficiently perform the teleportation experiment to ultimately verify the success of quantum teleportation. Their findings have now been published in the prestigious specialist journal Nature. Quantum teleportation involves the transfer of arbitrary quantum states from a sender, dubbed Alice, to a spatially distant receiver, named Bob. This requires that Alice and Bob initially share an entangled quantum state across the space in question, e.g., in the form of entangled photons. Quantum teleportation is of fundamental importance to the processing of quantum information (quantum computing) and quantum communication. Photons are especially valued as ideal information carriers for quantum communication since they can be used to transmit signals at the speed of light. A photon can represent a quantum bit or qubit analogous to a binary digit (bit) in standard classical information processing. Such photons are known as 'flying quantum bits'. The first attempts to teleport single photons or light particles were made by the Austrian physicist Anton Zeilinger. Various other related experiments have been performed in the meantime. However, teleportation of photonic quantum bits using conventional methods proved to have its limitations because of experimental deficiencies and difficulties with fundamental principles. What makes the experiment in Tokyo so different is the use of a hybrid technique. With its help, a completely deterministic and highly reliable quantum teleportation of photonic qubits has been achieved. The accuracy of the transfer was 79 to 82 percent for four different qubits. In addition, the qubits were teleported much more efficiently than in previous experiments, even at a low degree of entanglement. The concept of entanglement was first formulated by Erwin Schrödinger and involves a situation in which two quantum systems, such as two light particles for example, are in a joint state, so that their behavior is mutually dependent to a greater extent than is normally (classically) possible. In the Tokyo experiment, continuous entanglement was achieved by means of entangling many photons with many other photons. This meant that the complete amplitudes and phases of two light fields were quantum correlated. Previous experiments only had a single photon entangled with another single photon – a less efficient solution. "The entanglement of photons functioned very well in the Tokyo experiment – practically at the press of a button, as soon as the laser was switched on," said van Loock, Professor for Theory of Quantum Optics and Quantum Information at Mainz University. This continuous entanglement was accomplished with the aid of so-called 'squeezed light', which takes the form of an ellipse in the phase space of the light field. 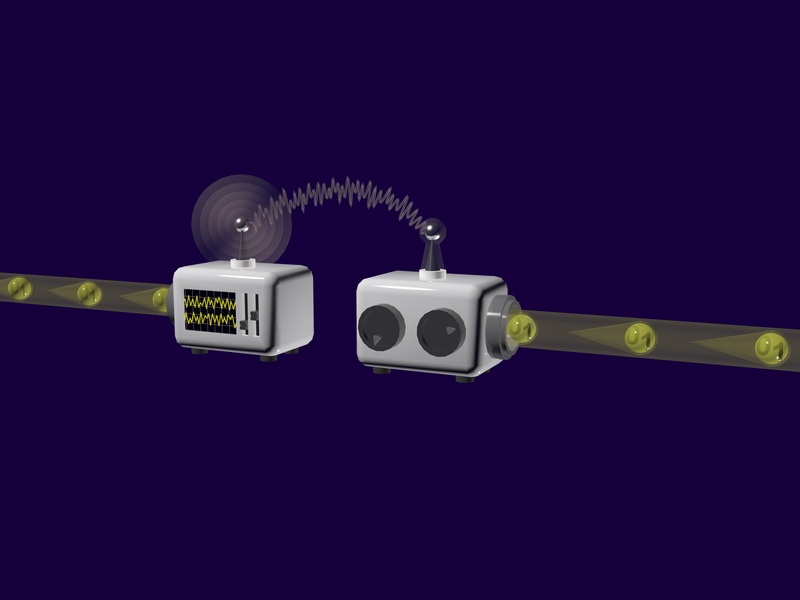 Once entanglement has been achieved, a third light field can be attached to the transmitter. From there, in principle, any state and any number of states can be transmitted to the receiver. "In our experiment, there were precisely four sufficiently representative test states that were transferred from Alice to Bob using entanglement. Thanks to continuous entanglement, it was possible to transmit the photonic qubits in a deterministic fashion to Bob, in other words, in each run," added van Loock. Earlier attempts to achieve optical teleportation were performed differently and, before now, the concepts used have proved to be incompatible. Although in theory it had already been assumed that the two different strategies, from the discrete and the continuous world, needed to be combined, it represents a technological breakthrough that this has actually now been experimentally demonstrated with the help of the hybrid technique. "The two separate worlds, the discrete and the continuous, are starting to converge," concluded van Loock. Optical configuration of the teleportation experiment at the University of Tokyo. Laser sources and non-linear optical processes supplied the quantum bit and the required entanglement. Several mirrors and beam splitters facilitated complete teleportation. Deterministic quantum teleportation of a photonic quantum bit. Each qubit that flies from the left into the teleporter leaves the teleporter on the right with a loss of quality of only around 20 percent, a value not achievable without entanglement.